It's easy to get a free Burpee seed catalog. Burpee offers a popular seed catalog whose arrival in the mail signifies the beginning of spring to many gardeners. The company mails out its catalog in late December, and it's available through April of the following year or until supplies run out. 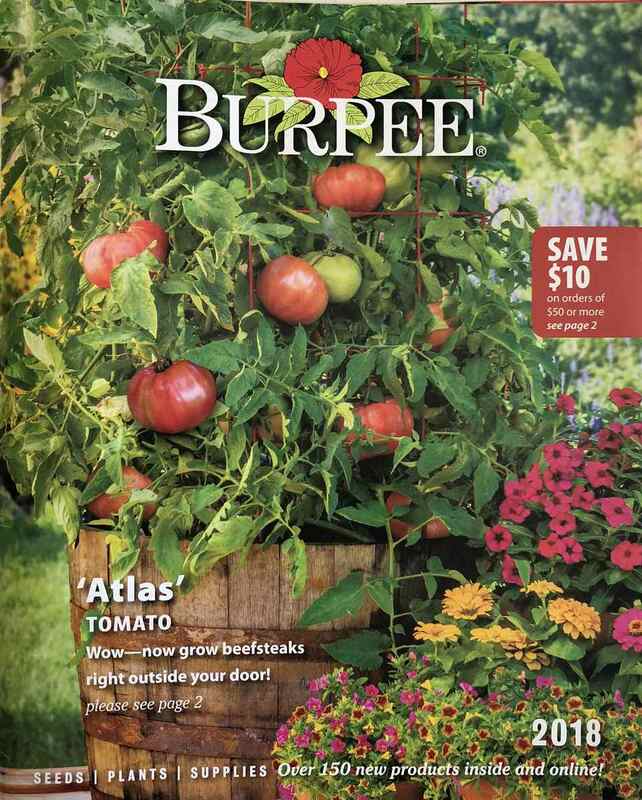 Burpee's beautiful full-color pages will give you lots of options for your garden and inspire you to make your dream garden a reality this year. The Burpee seed catalog is filled with seeds and already-grown plants for you to buy that include vegetables, flowers, perennials, herbs, and heirlooms. You'll also find fruit plants, organics options, seed starting supplies, and other gardening supplies all inside the catalog's pages. The Burpee catalog makes it easy to find the seeds and plants that will grow best in your area, providing you with zone maps, shipping schedules, and growing calendars. Before you order, just put in your zip code, and you'll see the plants and seeds that will grow in your zone. There's even a Garden Time app to help you schedule all your gardening tasks. It's really never too early to get started with your spring garden plan. You can request a free Burpee catalog by filling out your name and mailing address and clicking the ​"Subscribe" button. You also can sign up for the optional but free email newsletter. Subscription to the newsletter is not required to receive the catalog. Burpee would also love to hear about where you first learned about its catalog. While Burpee doesn't indicate how long it will take you to receive the catalog, it usually arrives in your mailbox within 2-6 weeks, as long as it is already printed. Near the end of the growing season, the catalogs are usually out of stock, and you'll have to put your name on the waiting list for the next year's catalog. Burpee will mail this catalog to you as soon as it is printed. While you wait for your catalog to arrive, check out Burpee's online ​how-to videos and ​expert advice to get a head start on growing a successful garden this year. Note that the Burpee seed catalog is only mailed out to those who live in the U.S. If you like the Burpee catalog, you'll probably like these other seed catalogs from Johnny's, Territorial Seed Company, Gurney's, Park Seed, ​Botanical Interests, and Baker Creek Heirloom Seeds.